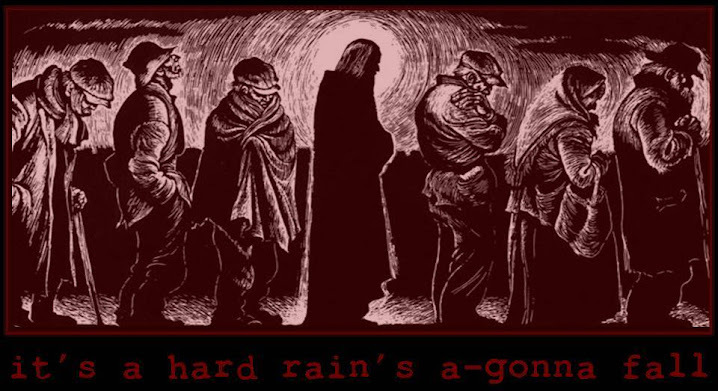 It's A Hard Rain's A-Gonna Fall: So, What Would Dorothy Day Do? So, What Would Dorothy Day Do? About a fortnight ago, I posed a question and promised to return to it. And so, let's get to it. But how? 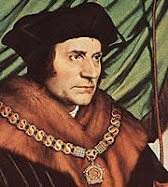 It would be tempting to start with an invitation, dear reader, that you reflect with me upon the world in which we find ourselves, now nearly a full year into the second decade of the second millennium of the Christian era. But what use is it? I don't know how it goes for you, but for me the reflection overwhelms me almost the moment I've begun. How difficult it would be even to try to catalog the major problems we face, to pick perhaps the top ten maladies plaguing society, and then even tentatively to suggest how Dorothy Day's example might help us in addressing just one of them! How, then, to begin? And so we will undertake a different approach, a positive project: we will outline certain aspects of the example of one modern saint and see whether these qualities suggest anything to us that can be transfered into and emulated in the context of our own age, not so distant from her own. I might suggest certain crises of culture which seem to line up in particular ways with Dorothy's life, but the choice of how exactly and to what extent her own actions apply in a given situation calls for personal discernment and the diligent exercise of prudence. Today, I offer for our consideration three manners in which Dorothy Day is a modern exemplar of the Christian life and the practice of the Gospel: as a radical, as a personalist, and as a woman with an apostolate. 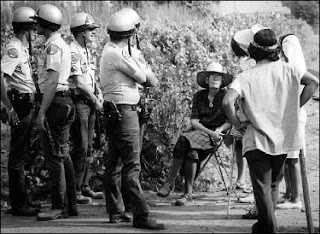 In identifying Dorothy Day as a radical, I borrow from the wisdom of Archbishop Charles Chaput who recently offered some reflections on her witness to our age on the occasion of the thirtieth anniversary of her death. In his own choice to call Day a radical, the Archbishop returned to the etymological root (pun intended) of the word: "She was radical in the truest sense of the word," Chaput said, "committed to the root of the Christian vocation." She witnessed to the Gospel in season and out of season, and "refused to ignore or downplay those Catholic teachings that might be inconvenient." Thus we find the first use for our question, "What Would Dorothy Day Do?" It translates into the many situations in which the relation of the Christian vocation to the status quo is one of paradoxism. We might think especially, in our age, of situations which seem to imply a binary choice, wherein neither proposed way seems really consistent with the demands of the Gospel. How often are we choosing "the lesser of two evils" - when do we give into compromise for the sake of social manners and communal comfort? Such are situations which probably call for radicalism. We may ask, what would Dorothy Day do in political life? Whose "side" would she have taken in the many conflicts which define civic discourse in our age: in the airports, at the borders, outside the abortuaries, across the world from the battle zone? I think that her life gives us clear indications of what she might have done in any of these scenarios; but it does not finally matter so much whether we choose to do exactly as she might have done, rather it is important for us that we, when once we've discerned the way that our vocation seems to indicate, do not hesitate in following through to the radical consequences that may unfold. We need not seek ridicule, strife, indignation, or imprisonment: consequences which Day's social actions earned for her with striking regularity. But when the cause of righteousness seems to lead to these things - which seems more and more likely an event - then we may find a useful measure of the full extent of our call in the radicalism of Dorothy Day. And if the situations of paradoxism plaguing our world discomfort only our minds but do not otherwise affect us, then we may well ask whether we are truly fulfilling our Christian call. If the times call for radical response and we do not give it, who will? I have remarked before on how the personalist vision is essential for rightly-ordered social action. I believe that it is, philosophically, the key to unlocking the import of the Catholic Church's Social Teaching. For those unfamiliar with the concept of Christian Personalism - a response to and development upon Christian Existentialism - I think a useful encapsulation can be found in a teaching by Peter Maurin, Dorothy Day's own tutor in this school. She recounts somewhere (I am paraphrasing) how Peter described "selfhood" as being essential to living in true communion: He said that when any number of "I"s are present - that is, truly thematic selves - then there is a "we", and "we" is the essence of community; where, on the other hand, there is only "they", there is not community but "a crowd". Crucial to the living of the Christian vocation is finding the other truly as a "self", a fully realized person with whom we are called into relationship. 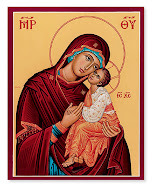 For Day, the importance of this is that the very self of the other is transformed by the Incarnation and by Christ's teaching on the judgment: when we serve others who are hungry, thirsty, naked, imprisoned, we serve Him: and discovering Him in this way is crucial to having true relationship with Him. This is an inimitable aspect of Christian life which prayer and even the sacraments - even the Eucharist - cannot replace. Thus, for Dorothy, the exercise of the Corporal and Spiritual Works of Mercy became essential expressions of the Christian vocation: not merely peripheral concerns or even fruits of some deeper experience of holiness and grace. Christ is waiting to be met in personal encounters with the poor and needy in a way that is necessarily complementary to the manner in which He comes to us through sacrament. Dorothy's apostolicity comes in two categories: word and action. Dorothy challenged the orthodoxies of her day with words seeded by the Gospel's teachings. What conversations call for authentic Christian voices in our world today? In her own age, Dorothy published a paper for a penny-a-copy with a pittance of resources. We have unprecedented technological means for spreading the Christian message, for reaching untold audiences at the click of a mouse. On our own Facebook Walls we have, in all likelihood, audiences which numerically equal or surpass the initial subscribing membership of The Catholic Worker. Do we use this to our advantage - rather, to the Gospel's advantage? Do we choose our words to discomfort the smug and comfort the afflicted? Do we challenge with our words? Do we respond to the errors that cross our screens and add our voice to the conversation, or for the sake of anonymity and convenience turn a blind eye? Dorothy was not content merely to wait for the challenge of the Gospel to cross her doorstep. She went out and gathered the lost and forsaken. She let her lodgings be overtaken by those in need and found larger ones when she ran out of space so that more could have the advantage of her aid. To our jaded age it may seem she was often taken advantage of. Perhaps she was. But this seemed to her less of a risk than the risk of doing too little, of missing a chance to engage in the apostolate. The answer to our question here is so vast and varied as to almost seem unhelpful. There are so many ways in which we can help, so many ways in which we can make a difference. We know this much from the Gospel - so how does Dorothy's example really help to elucidate and distill that teaching for us and make it practicable? This is, again, something I have written about before. In our age excuses are not hard to come by. 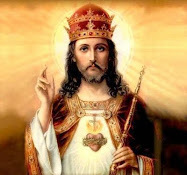 Furthermore, -and I know this will be one of my more controversial points - it seems more in vogue these days to encourage the ordinary ways of holiness, to call for Christians to be more perfect in their day-to-day lives as husbands and wives, fathers and mothers, businessmen, workers, painters, writers, etc. And, surely, this is needed. But I think we also need to intensify our call for Christians to do more - to go beyond the ordinary, to become immersed in the apostolate in a thorough-going manner, to go to the brink of when it seems they can simply do no more and then give even a little extra. Perhaps it will seem that we are being taken advantage of, that the needy are bleeding us dry. But, then, perhaps this is the kind of bloodshed called for in this apostolic age, a new kind of martyrdom. And so, rather than asking what action Dorothy would undertake among the many social imperatives that need the work of good Christians, we can ask our question as a measure of degree: when we wonder whether we should do more, we can ask: "What Would Dorothy Day Do?" I began this series of reflections by looking at the question, "What Would Jesus Do?" The question emblazoned on bracelets adorns the hands of believers throughout the world; what should really be found at the hands of believers is the answer to that question. In the hands of Dorothy Day, that answer was found: hands cuffed in radical action against injustice, hands lovingly stroking the face of a stranger, hands typing the words of evangelistic love, hands serving food to Christ in the breadlines. Ultimately, our purpose in asking our new question is not the question itself: it is the answer we will give: the answer we must give: the answer that reveals how Jesus already had done and continues doing "what He would". He calls us - and sends us forth.